Hello Everyone and welcome back! Today is Minis and More Parade day hosted by Sherri and Michele. This month’s mini was actually three barn style quilts by Christine Weld for Moda Bakeshop called Barn Charm. I made all three and they look good hanging on my house! Unfortunately, they can’t stay there. If these were true barn quilts, they would be solid colors but since they are not, I used fabrics from Corey Yoder’s Pepper and Flax, Sundrops and Lulu Lane lines, all for Moda. Since these were simple blocks, I thought I would have fun with my quilting. I quilt on a Pfaff QE 4.0 domestic machine and used free motion quilting and quilting with my ruler foot and rulers. I’ve had this Multi Clamshell ruler by Handi Quilter for a little while but haven’t used it much. It worked perfectly to quilt nice consistent curves. I used washi tape to mark where to line the ruler up on the seam line. The other two rulers I used were the 8″ Arc and the Straight/Curve Rulers by Westalee/Sew Steady. I haven’t added a feather to my quilts in a while, so it was fun to add the feather border and a half feather inside the pinwheel. For this mini, I quilted some basic straight lines in the border and yellow and white triangles. The center is a pumpkin seed design which is echoed and I micro stippled the outer corners to highlight the “flower”. I used the clam shell ruler on this one in the corners and the center block and again I’m really happy with the consistency. I quilted straight, alternating lines in the border, but because of the fabric, they don’t show up that well on the front. However, they show up really well on the back. I used this Pepper and Flax fabric for the backing and binding on all three minis. I used one of my favorite colors of Aurifil 50 wt thread, 2110, to quilt with. It’s a pale yellow and goes perfectly with these fabrics. I also finally finished by setting blocks for Sherri’s 2017 A Quilting Life BOM. Now I need to get it all laid out and sewn together. This will be on my list to do for this month. By the way, next Monday, August 6, starts a new BOM by Jacquelynne Steves that I’m going to be a featured blogger for. The thing is, since I like mini quilts, I’m taking Jacquelynne’s design and reducing it by half and will be making a mini wall hanging. If you are interested in joining us, sign up on Jacquelynne’s site to receive the patterns each month. Thanks for stopping by and don’t forget to check out the rest of the parade with Sherri and Michele. 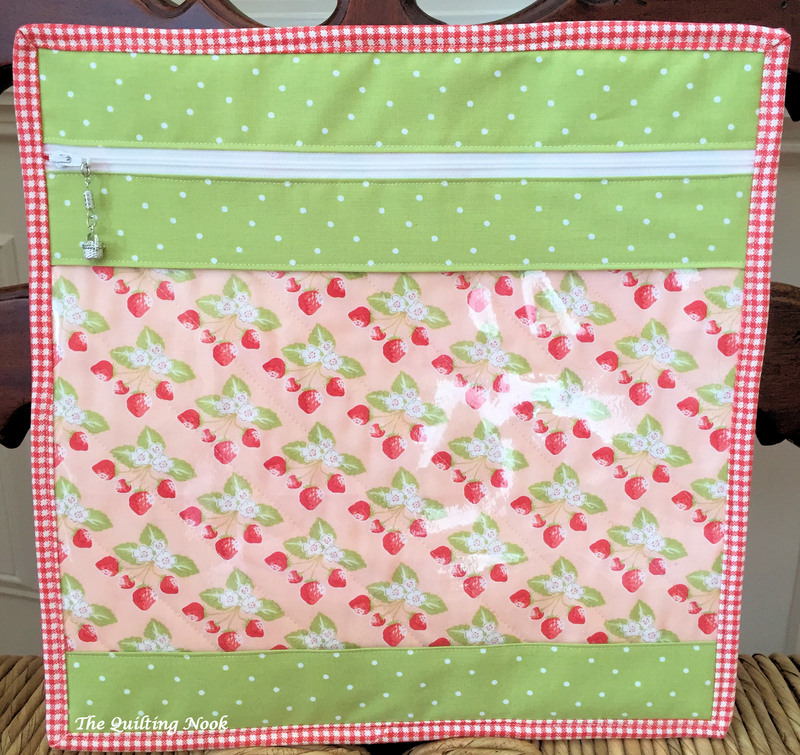 This entry was posted in FMQ, Free Motion Ruler Work, minis, Minis and More, Quilting Life BOM, Rulerfoot Quilting, Save the Bees BOM, Uncategorized and tagged FMQ, free motion quilting, minis, Minis and More, Quiltng Life BOM, Ruler Work on Domestic Machine, Save the Bees BOM, Specialty Rulers. Bookmark the permalink. These are awesome! I have had a ruler set for about a year, but I still do not know how to quilt with them. I will have to get them back out and try again. A mini, like this, is a great place to practice. My smallest quilt I have made, was for the Block #7 Snug-As-A-Bug from The Splendid Sampler. I made a 3″ X 3.5″ Pinwheel quilt for this block. I loved making it. I think it was the challenge to make something so small that made me do it.